Few days ago i wanted to configure a network for a client. It was kind of difficult getting everything done so quickly, since the default password i had been using for other routers had refused to work on the Linksys router. Though the challenges of life could be very frustrating sometimes, but it is very necessary that we come to realize or experience things like this, at-least it could inspire one to write the next tutorial right? Yes thought as much. 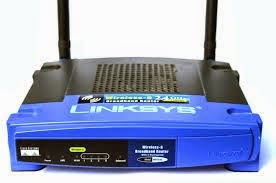 I am not going to be specific concerning the model of the router, because from my analysis, the default IP Address, password and username of Linksys router works for all. Google is always my friend, but how long i'm i going to crave 60% dependency on Google? That is so unwise and i bet you love to allocate only but a few 20% dependency on the google search engine. A router is a device that sends and receive network between two or more networks.It could be a connection between a Local Area Network (LAN) or a Wide Area Network (WAN) or more. It is simply a network device used for the sole purpose of networking. I won't be going into deep details concerning a router, but i will just love you to make some full research about it; that is if you are new to it. Now you can log into Linksys router or any other router via the help of your browser. Simply launch your browser and type the following Ip address 192.168.1.1 on the address bar of your browser and enter. You will have to allow it to load. There is a kind of variety here. Sometimes if you use the default password as "password," it does not work. What you would have to do, is to try the first suggestion,If log in was not successful, you try out the next. For some reasons, you may want to change the default password and username of your router to prevent unauthorized access to it, you can try that out via the router dashboard. If you are not good with keeping or remembering your password, then you have to leave everything as factory settings. Just incase you lost access to your customized password, you can reset your router by forcing an objects into the tiny holes by your switches and holding it for a period of ten (10) to twenty(20) seconds. Your router will reboot. Simply log in with your default password to your router and you are good to go. Your comments determine the quality of this post. Simply use the comment box in areas you get lost. I will make you understand it better.